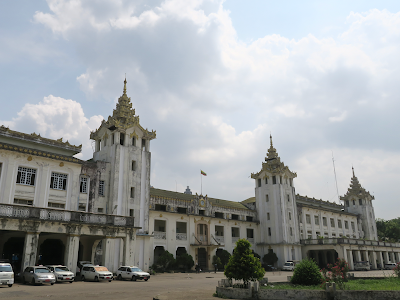 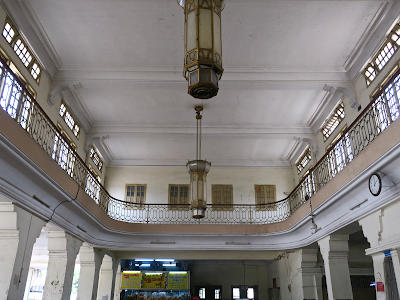 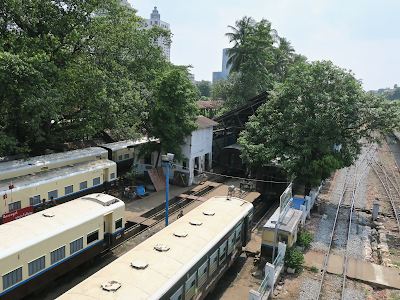 Yangon's main railway station has a stately building. It was designed in traditional Burmese architectural style. I came across the ex-JR KiHa 40 series diesel train which is still in the original JR East livery for Tohoku Regional Headquarters. 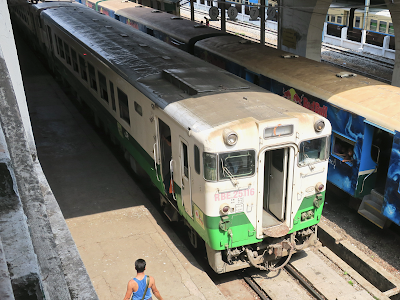 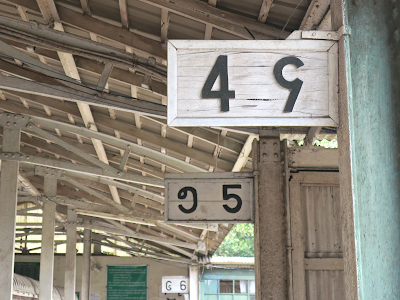 Myanmar Railways is using a variety of secondhand Japanese trains and they were retrofitted with narrower gauge wheelsets to make them operable on Myanmar's 1000mm gauge tracks. 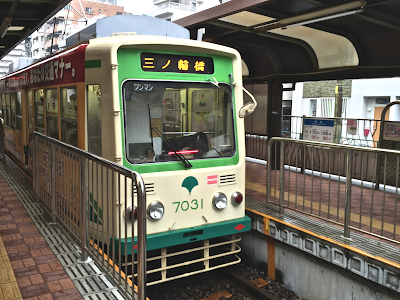 The KiHa 40 was a familiar face on the JR Ishinomaki Line, so I felt like I met a friend from Ishinomaki in a foreign land.